In her Aug. 22 Daily Trojan article on transportation options, Carrie Ruth Moore includes a few incorrect or incomplete points that I would like to correct. The primary point I wanted to correct was regarding the LA Live Shuttle. This shuttle service was operated by USC Transportation but completely funded by Anschutz Entertainment Group, the owner and operator of the Staples Center. 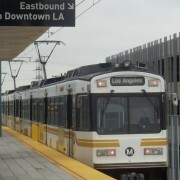 When the Metro Expo Line opened in April, AEG discontinued that service, primarily because the Expo Line runs more reliably, regularly and for longer hours daily than the shuttle. Ms. Moore does also mention the Expo Line but identifies only two of the three stops near USC. There is a third stop adjacent to the University, the Expo/Vermont stop, located on Exposition Boulevard east of Vermont Avenue. For complete information on all Metro lines and services, including a trip planner, we recommend students visit the Metro website at www.metro.net. Finally, while Carrie does mention Zipcar, she neglects to mention the many other alternative transportation options available to students. Wheelz is a new company that uses students’ personal vehicles, enabling Trojans to rent their vehicles to other Trojans. 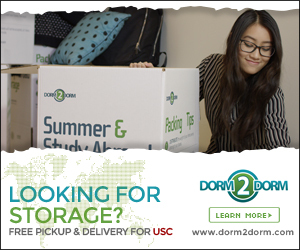 Zimride is a well-established rideshare program that allows members of the USC community to offer or accept rides from fellow Trojans going their way. Finally, Enterprise Rent-A-Car has an office in Parking Structure X; it is one of the only locations in the city that will rent to 18 year olds. For more information on any of these partners/programs, or anything transportation-related, students should visit our website at www.usc.edu/parking. As a new student in the Annenberg School for Communication and Journalism I picked up a copy of the campus newspaper. Expecting to find quality journalistic writing, I was profoundly disappointed after reading the article in the Lifestyle section, “Finding campus romance not stressful or awkward” (Aug. 22). I found the assertions put forth by the author vapid, uninformed and grossly negligent. Though inexcusably clichéd, my problem isn’t with the advice given, but rather the assumptions that inform the author’s opinions. The article asserts that in every Trojan’s mind there lurks a subconscious (and shared) knowledge that “[w]e’re pretty darn good looking.” Where does the author derive the authority to make that comment? This certainly seems to be her opinion, but what is it exactly that makes her believe the rest of the student body shares this narcissism? Is it the fact that the women on campus “… wear make-up to class and dress themselves in the newest and hottest styles”? Or, is it that “[t]hey (girls) get their hair and nails done”? I can think of nothing more socially demeaning to my female colleagues than the suggestion that they are attractive and/or desirable because they conform to a gender-based stereotype. 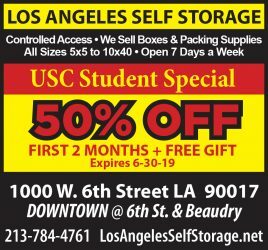 The article goes on to suggest that all long-term relationships have no future at USC and that the best solution is to break them off. 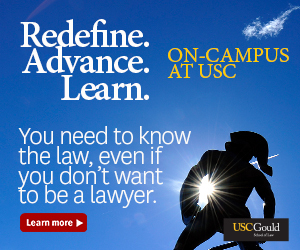 This delegitimizes the students who are in committed long-term relationships and marriages and domestic partnerships. However, the most profoundly offensive statement is the closing suggestion that Ms. Watson makes, “If you’re the kind of kid that’s into Open Mic Night, then hit up Ground Zero Performance Café. If you want to get involved in the LGBTQ scene, go to the LGBTQ and Ally Welcome Back Barbeque.” I expected that the editorial staff would identify that categorizing sexual orientation and Open Mic performances together necessarily equates one’s innate sexuality to a vocational interest. This is obviously absurd. Moreover, the excessively glib and loose structure of ideas falls short of what I would expect from USC, an institution with an excellent school of journalism, which I am proud to be a part of.